I have learned that I should never seek advise from someone who is more screwed up than I am. If you are looking for professional help, find a professional who knows what he/she is talking about. If an employment coach is not in your budget then find a mentor who you respect and who is where you would like to be someday. Remember anyone who has a job is not necessarily an expert in the job search process. You search job boards. You send your resume to every job posting that looks remotely close to your skill set. You send your resume to search firms. You snail mail your resume and cover letter to local Fortune 500 companies. And then you wait for the call that rarely comes. You can’t understand why your search is going no where. You have just entered the Illusion of Productivity Zone!!! You know you’re here because you feel like you’re in a rocking chair…………you’re moving all the time, you just don’t go anywhere. The race doesn’t always go to the strongest or fastest horse, but that’s the way to bet. Networking is your best investment. Everything else is a long shot. Simply put ‘buzzard luck’ is when you can’t kill anything and nothing will die for you. What’s the answer? The simple answer is get lucky! However, to ‘get lucky’ you have to ‘get to work’. Years ago, I went fishing with my dad and brother. They were fishermen. I just showed up. One morning we got up at ‘oh-dark-thirty’ and were sitting on a particular weed bed at sunrise. We were there for about 20 minutes when we started to catch bass left and right. It was great fun. On the way back to the resort I said, “We sure were lucky this morning”. My dad replied, “We weren’t lucky. We invested in a good boat, motor and equipment. We studied the lake. We asked questions in town. We monitored the weather. We bought the correct bait. All this resulted in us being at the right place at the right time. It is what we planned to do. Now, if I am sitting at my desk and a 6 pound large mouth falls from the ceiling and lands in my lap………..that would be luck!” Do you have a plan or are you just looking at the ceiling? You can pile up lots of failures and still keep rolling, but you only need one juicy success to make a week. If you spend your days avoiding failure by doing not much, you’ll never have a shot at success. Avoiding the thing that’s easy to survive keeps you from encountering the very thing you’re after. And yet we market and work and connect as if just one failure will be too devastating to ever overcome. I had a good friend who loved to fail because he calculated that for every 20 failures he was just that closer to a success. Learn to recognize a setback from a defeat. You need a good system to know when you’re doing the right things and to figure out when you’re not. Track your numbers. 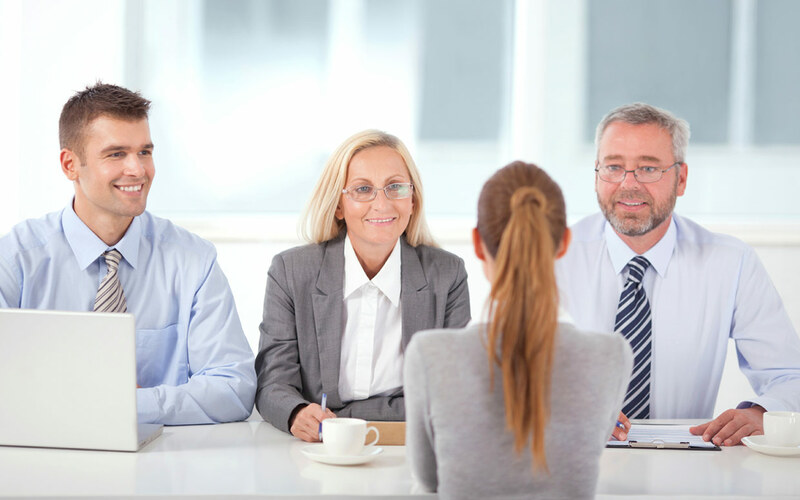 Do you know how many contacts you have to make to get an interview? Finding a job is a full time job. Do you know how many hours you worked last week? Do you know who you spoke with? What were the results of these conversations? When do you need to follow up? Congrats! You are way ahead of your competition. If you can’t then your competition is so far ahead of you, you think you’re in first place! Your responsibilities are what you do from 8 to 5. Your accomplishments are what result in what you do from 8 – 5. You will be hired for your contribution to the bottom line. Your accomplishments are your proof of this. “Increasing profits significantly” is not a quantifier. Stay away from words like substantial, significant, outstanding, extensive and extremely. Stick to the facts! Position ads are, at best, a screening process. Match your skills to the most pertinent requirements. Focus on your bottom line contributions. You’re not perfect. Get over it. There is no perfect job. Get used to it. Don’t think “perfect”. Think “different”. Keep in mind this vital question: “Why should I hire you?” It’s not why you are right for the job………..it’s why the job is right for you. Big hat – no cattle. If you tell me you have a particular skill but you cannot marry your skill with an accomplishment, do you have that skill? You are the product. I’m not buying the features of your product, I’m buying the benefits. If you go to Home Depot and buy a bag of grass seed, what are you buying? Are you just buying grass seed or are you buying a lawn? The grass seed is the feature. The lawn is the benefit. If you are having problems determining your skills, then start with your accomplishments. Some people believe that procrastination is an art not a sickness. In a job search it is a ‘silent killer’. Most procrastination comes from lack of confidence. So, start building your confidence now! How do you do this? The simple answer is prepare and practice. The more you practice, the more you learn. The more you learn, the smarter you get. The smarter you get, the more confident you become. The more confident you become, the luckier you get. Will you be worse off if you do it today? Yogi Berra once said, “Nobody ever goes there because it’s too crowded.” What are absolutes? Words like nobody, everybody, always, never, etc. “I’m going to take a few months off because nobody gets hired in the summer.” “Everybody knows they’re not hiring”. Remove these words from your vocabulary. They are the non-starters of job search. Nobody has a good enough memory to be a successful liar. There is no specific time frame for earning respect and trust. However there is one for losing it. The latter takes no more than a few seconds. And once lost it is gone forever. Know what you can control and what you can’t. If you maximize the first, and you won’t have to worry about the second. Most people, including interviewers, are only interested in the time…………………not how to build a watch. Keep your answers to less than 60 seconds. The interesting thing about being accurate is – you’re either accurate or you’re not. You begin at 100% and drop directly to zero with your first mistake. I once read a cover letter which stated that the individual prided herself on her “acuracy”. I am amazed at how many people opt for speed over accuracy; for sloppy over specific. Proof read your correspondence. Read it out loud. Use spell check, but don’t depend on it. Let your document sit for a few minutes and read it again. Every time you make an edit, read it again……out loud. Once you hit the send button it’s too late. When somebody goes out of their way to help you, send them a personal note or email. Design a monthly newsletter to keep your network updated on your progress. Single out a specific person who has gone the extra mile for you. Expect to do what you would expect to be done. Does your resume match your Linked In profile? What “movie rating” would you give your Facebook page? If it’s not rated “G”, you lose. “Life is tough. It’s even tougher if you’re stupid” John Wayne.